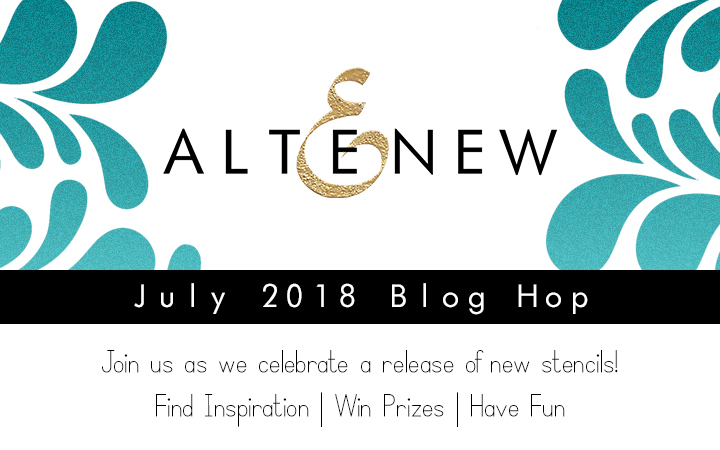 Welcome to the July 2018 Stencil Blog Hop and Giveaway. Today Altenew released its newest stencils and they are such fun to work with. For the Altenew Scrapbook Blog I created 2 projects using the Elegant Swirls, Feeling Dotty and Flowing Drops stencils. For the layout on my blog I decided to use the Aztec Motif stencil. I picked some fun primary ink colours and used my mini daubers to add colour to the different parts. Using these tiny blenders makes the process super easy. I flipped the image horizontally and repeated the process to create a mirrored image. You could also continue and flipped it vertically. The title was made with an acetate word from the Reflection Scrapbook collection and I also picked a flower sticker from the Our family collection. I felt that top was a little bare and looked through my Altenew scrap paper stash. I found similar coloured patterned paper scraps to the ink colours and cut our some triangle shapes to create a banner at the top. This layout was so easy to create and I had such fun. Leave a comment telling me which is your favourite stencil and I'll pick a lucky winner on July 10th. Have fun hopping and see you soon. Beautiful layout! I like the stencil you used. Love the elegant swirls stencil! Love the city scape stencil of this release though your project with the Aztec motif may have swayed me! What a beautiful layout. This is such a pretty layout! I love the great color and look! Elegant swirls! Very pretty projects! 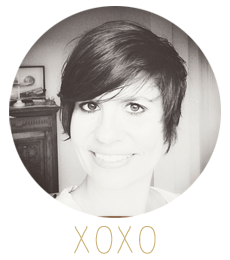 Your page is adorable. A great job creating it. Absolutely beautiful layout. Loved it! Thank you much for inspiring and for the opportunity to win! I love the photo in your layout... I miss capturing those moments with my kids. (they are grown). I love the swirl stencil, but know I would enjoy all of them! Fantastic layout! For some reason I wouldn't have thought to use a stencil for a layout! Such a creative and fun layout!! I absolutely love the City Scene stencil! Love that adorable photo of the kids....The stencil provided just what was needed to fill the white space.....lovely job...thank you so much for sharing.. Very pretty layout with the Aztec Motif stencil. Your color choices are perfect. Usually don't think to use my stencils on my scrapbook projects. Thanks for the inspiration. The City Scape and Maze stencils are my favorites! So many good ideas on this hop! You matched the colors for this layout so well. Wonderful design. A beautiful background. I love the colors you used. Love the beautiful layout you created with the gorgeous colors and the bold design. They seemed made for each other on this page. Great layout! It's hard to believe I never thought to use a stencil on a scrapbook page. Thanks for the inspiration! Great use of the stencil on your layout!! 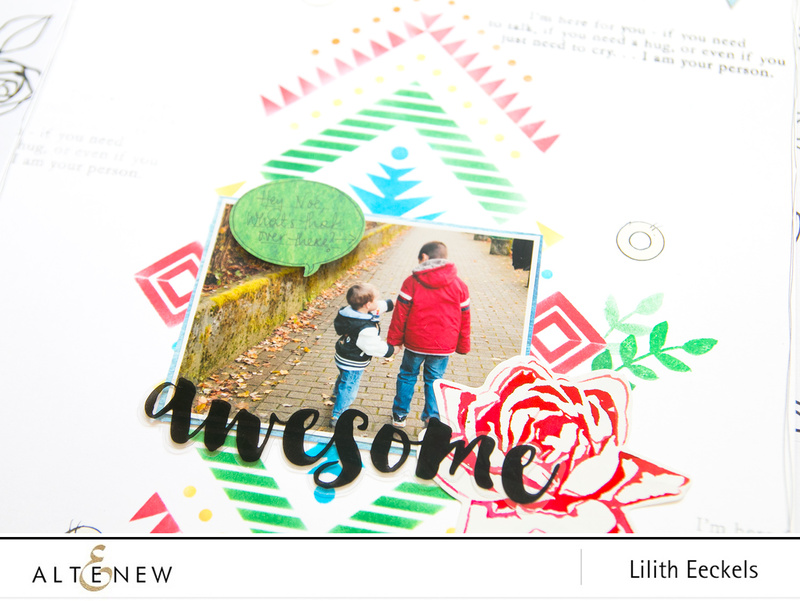 my fave stencil from this release is the flowing drops - your layout is wonderful and works so well with your photos. These are some more spectacular and unique stencils. Love the amazing layout that you achieved with this one, and I already have some on my wish list. Thanks for the inspiration! Love what you did with the Aztec stencil. Such a beautiful page, full of color and peace! Hard for me to pick a fave, since I have 5 in my cart already, but if I had to, I think it is the hydrangea stencil. I can see using that a lot for backgrounds. But I also love the mega dots!! LOL....Thanks for your inspiration. As primarily a scrapbooker, I really look forward to the scrapbook page ideas here! Very pretty layout! The new stencils are all great! Gorgeous layout and love how you used the Aztec Motif. I love that stencil 2nd after the Elegant Swirls. Great layout! Can’t possibly pick just one or two stencils – might have to have them all! This is a great layout! I love this stencil and the bright colors. In the event of a tie bets will likely be void. What a beautiful layout! Your colors are stunning. I'm so excited about this new stencil release. This is such a CAS layout.. I love it! It has lots of details but looks so clean! I really love all the stencils in this release! Great cards, thanks for the ideas. Cute layout. I love all of the stencils but your layout is leaning me towards that stencil. My favorite stencil is the cityscape. cute layouts. thanks as always for sharing. The Hydrangea Stencil is a new fave! Great layout, love the text that is repetitive. Your grounded stencil allows for some whimsy on the page. Very cool. He City Acene stencil is my favorite, but all of these stencils look like they produce amazing images! Wonderful page with the Aztec stencil and such a sweet photo! The Elegant Swirls stencil is definitely my favorite, but I think they're all fabulous! The Aztec stencil makes a wonderful scrapbook page design. Love all the stencilling ideas. Your scrapbook layout is fabulous. I love the colors you chose for the Aztec stencil and how you turned it around to complete the bottom of your design. The journaling touched my heart! Thanks for inspiring me! Cute and sentimental use of the Aztec stencil, perfect choice of colors! Fabulous layout! Love how you switched the stencil up! Such a beautiful page. my fav stencil is the swirls. Very fun, colorful layout. Great use of more than one stencil. Awesome as always Lilith! Love your background design using the Aztec Motif, that stencil is at the top of my faves list along with Caligraphy Maze . Thanks for sharing! Have a wonderful day! Absolutely a wonderful background to put a picture of your two boys on! It's a tender looking picture & the sentiment you added is just perfect. I love the elegant swirls and the hydrangea stencils! My favorite is the Spring Garden Stencil. Your layout is lovely. Love the colors. I love what you did with this stencil! It looks so pretty! I love what you did with this stencil! It's so pretty on your layout! My favorite stencil in this bundle is the step builder one! I love the geometric designs that can be flipped and give a great 3D feel! Close tie for second are the aztec and elegant flourish ones. You used the aztec very nicely here; well done! The City Scene stencil is my favorite. Great layout page! I like the way you used the Aztec Motif stencil. I adore this! It's so beautiful! Amazing job! Love seeing these used in scrapbooking! A lovely release! Beautiful layout! The Aztec Motif is so colorful and the sentiment you used is so lovely and perfect with the picture in your page. My favorite stencil keeps changing at this point, but I think I like the Flowing Drops the best. SWEET and PRETTY layout! Great creativity with the stencils!!! I love the Feeling Dotty and Flowing Drops stencils! Your page is fantastic. The colors and layout are great! 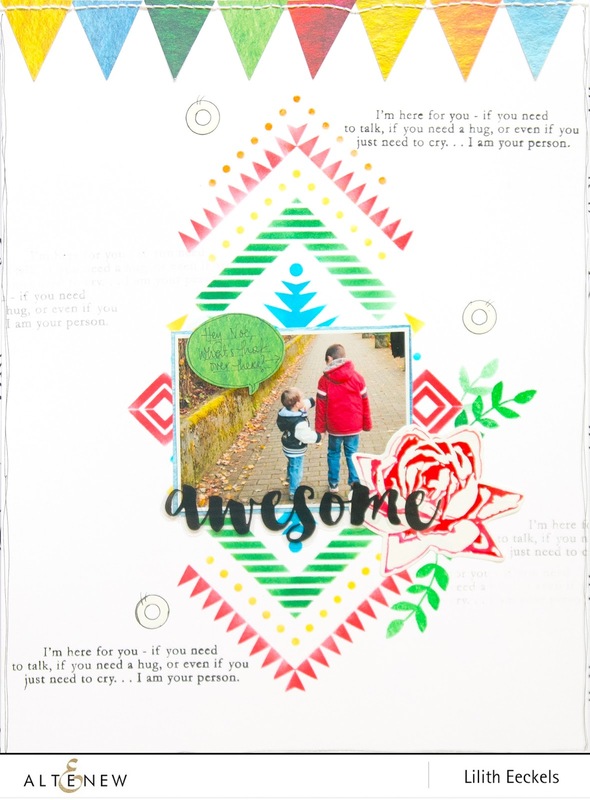 Beautiful layout - I love the bright colours you used with that stencils! Beautiful work!! I love the flowing drops stencil a lot! Great layout! Love the colors so bright and pretty! I really like the molded lines stencil. :) Great layout! 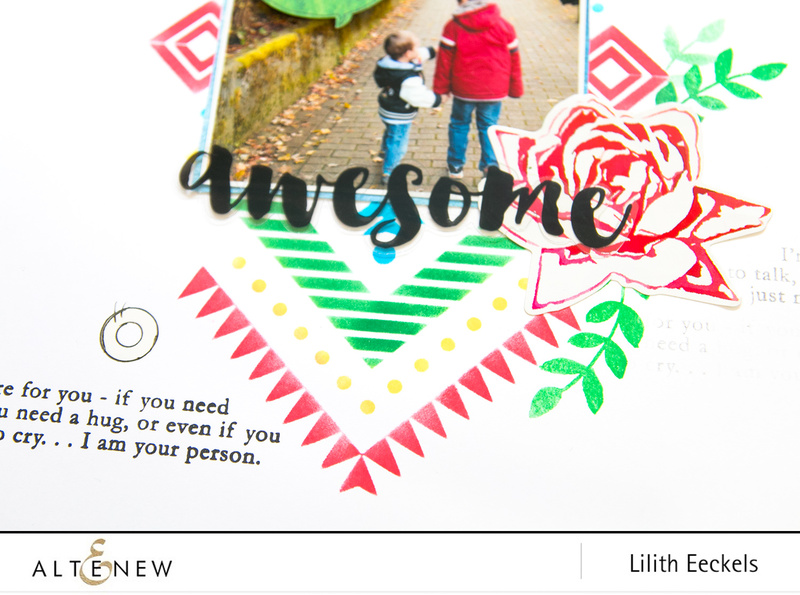 "Awesome" page, and that stencil is perfect for it! Love the colors you used, beautiful layout! So many great new stencils!!! I would love to play with the dotty background! Gorgeous,bold and vibrant layout, just stunning! Love the swirl stencil. Awesome background for your layout! Elegant Swirls is my favorite! Awesome design for this layout. I like the colors too. I love this bright, fun layout! So pretty! The Flowing Drop is my favorite of this stencil release although there are a few that are close seconds LOL. Your layout is a genuine beauty! So creative with the stencils! Love the new release. And the inspiration layout is gorgeous! My favorite is the Molded Lines stencil. I love the city scape stencil!!. So awesome looking. I can see using for holiday cards. Gorgeous! I love all the stencils, but I have a soft spot for the Aztec stencil. Such a cute scrapbook page!! !